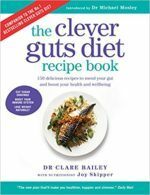 I’ve read the Clever Guts diet book and I feel EVERYONE should read it, not just people with gut issues. In the book Michael talks about IBS, Colitis and Crohn’s briefly but I want to know how the diet relates to someone with no large bowel. I had a Total Colectomy and Ileostomly in 2015, then a Jpouch in 2016. I’m part of a support group and find everyone seems to be different. I basically stick with a low residue diet, taking 6 Gastro stop a day as well as 2 teaspoons of psylium after each meal, ie 3 times a day. I’d like to be able to eat more veg and cut out the Gastro stop. Hi there Jpouchgut – my sympathies for what you have been through – it takes a bit of getting used to BUT it’s good to feel well isn’t it! I had Ulcerative Colitis, which resulted in a total pan-colectomy / ileostomy 27 years ago, but have never looked back. I have found my body has adapted with time – I still take a little more salt, without overdoing it, and drink more water, apart from that I eat just about anything except really raw hard vegetables (ie broccoli stalks, hard pineapple etc.). Start with cooking all of your vegies well, eat lots of starchy vegies which will help control the output – I find yams/ sweet potatoes etc. are marvellous at thickening things up a bit – assuming you are taking gastro stop as you get diarrhoea? What I have found from my research over many years is that I was probably a coeliac, or if not had a huge sensitivity to gluten, but didn’t realise it, and definitely a sensitivity to cows milk, like millions of others! When it does go very runny it’s because something has disagreed with me, so it might be worth having a food sensitivity test if you haven’t already. When I avoid gluten and cows dairy EVERYTHING settles down and works more smoothly, and I eat just about every vegetable under the sun. – hopefully you can gradually transition to things like stir fries and higher residue diets.. Eating naturally is the best.. I hope this helps a little..